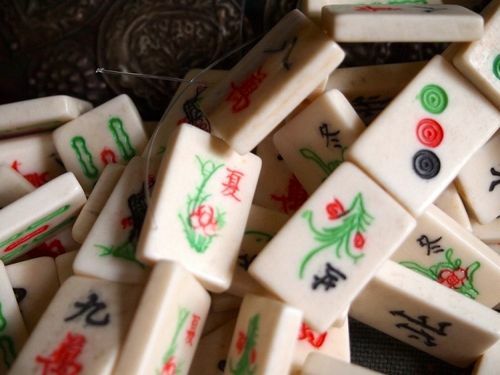 We have an assortment of mah jongg tile beads for you to choose from. 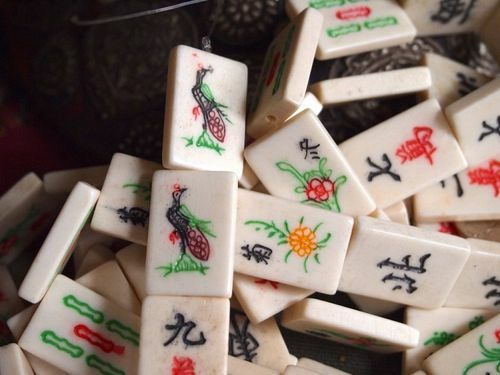 These mah jongg beads have etched, colored designs that are based upon the popular Chinese game but these beads are more flatter than the traditional game tiles and come pre-drilled, making them great for jewelry projects! 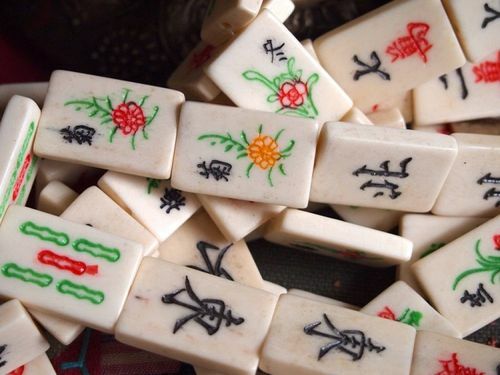 Beads are drilled from top to bottom so that they hang in a vertical position. 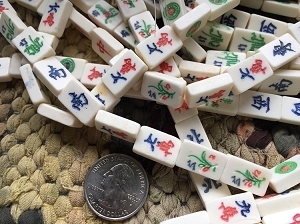 These large tile beads come on a strand of 9 - 2 sided (16mm x 25mm and 5mm thick). 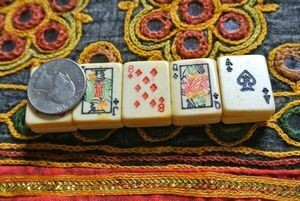 (That is approximately 0.6 inch wide, 1 inch tall and 3/16 inch thick). Hole size is approximately 1-2mm. 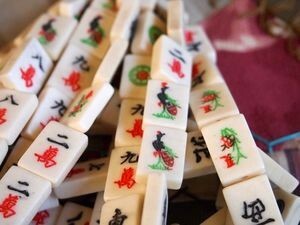 Please note that these now match our small and medium mahjong tile beads!